From actor/director Ken Marino, the romantic comedy Dog Days follows an eclectic ensemble of characters, both human and canine, which includes Tara (Vanessa Hudgens), a barista who dreams about the hunky vet (Michael Cassidy) across the street from the coffee shop where she works. After finding an adorable abandoned dog that she can’t keep herself, she decides to help out the owner of New Tricks Dog Rescue (Jon Bass), who’s trying to keep his struggling dog adoption business afloat, and realizes that the two have a common love of dogs that bonds them together. 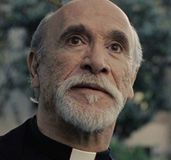 The film also stars Nina Dobrev, Adam Pally, Eva Longoria, Rob Corddry, Tone Bell, Thomas Lennon, Tig Notaro, Finn Wolfhard and Ron Cephas Jones. 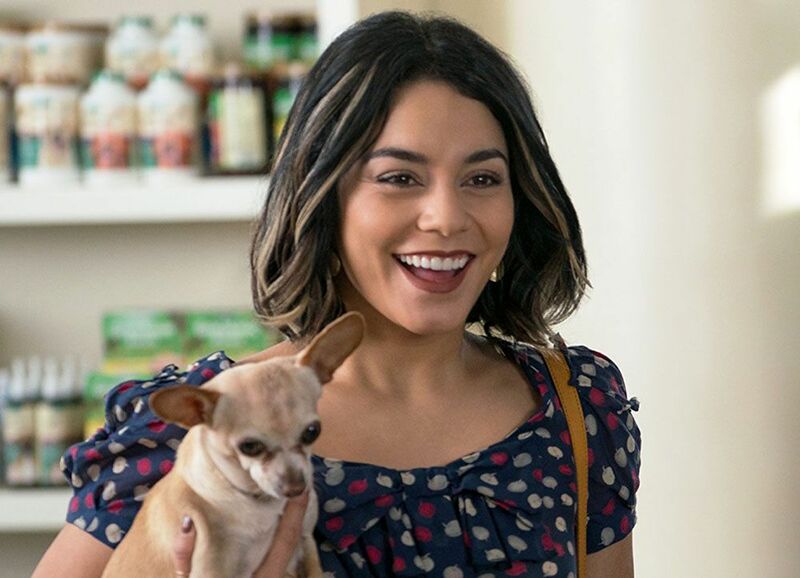 During this 1-on-1 phone interview with Collider, actress/singer Vanessa Hudgens talked about her desire to do a sweet movie for the whole family, how she ended up with her own dog, why she’d prefer everyone adopt and not shop, what she liked most about her character, the challenge of not just playing with all of the puppies on set, and the funniest scene to shoot. She also talked about what she looks for in a character, how inspiring it’s been to be a judge on the Fox series So You Think You Can Dance, what it was like to work with Jennifer Lopez on Second Act, the experience of making Polar with director Jonas Åkerlund and Mads Mikkelsen, the song she’ll be releasing soon, and the type of roles she’s still like to do. Collider: This is such a ridiculously sweet movie. Was that part of the appeal of doing something like this, for you? VANESSA HUDGENS: Yes! This is really a movie for the whole family. You can go see it with your girlfriends. You can see it with your grandma. You can see it with your kids. There’s truly something in it for everyone. I also love my character. And hopefully, people watch the film and remember to adopt and not shop. As an animal lover, when you read the script, what was your reaction? Did you feel like somebody had written a movie that was just tailor made for you? HUDGENS: Kind of. I remember reading the script and being like, “Oh, my gosh, I love this!” I love coffee, I love planning events, and I love animals. It was perfect! You talked about adopting instead of shopping for a dog. How did you get your own dog? HUDGENS: I didn’t even decide to get a dog. What happened is that my boyfriend’s mom lived in an apartment building and, in the thick of summer, day in and day out, she would see, on her neighbor’s balcony, a little dog. There was no food or water for her, and she was out there for hours on end. Finally, she knocked on their door and was like, “If you guys can’t take care of the dog, let me take care of it,” and they gave her the dog. So, when she passed away, me and Austin [Butler] took Darla in, and she’s just been our little angel. I’ve gotten to see her come out of her shell. When we first met her, she wouldn’t even let us touch her, and now she’s just the ultimate snuggle bug. What have you learned about yourself from having and taking care of your dog? HUDGENS: I don’t know. I feel like having a dog really brings a great sense of responsibility because they’re honestly like children, except that you can leave them on their own for a few hours and they’ll be okay. I feel like she sees the best in me, which helps me see the best in myself, as well. How would you describe this character? What kind of a woman is Tara, and how does she see herself? HUDGENS: I think she sees herself a lot like I see myself. That was the thing that I love about this character. I was like, “So, I get to basically be myself, and be joyous and positive, and want to give back.” She’s like sunshine. She’s very positive and just wants to lift people up, which is something that I take pride in myself, as well. She just figures out a way to make things better, and I love that about her. What was the biggest challenge in playing this character? HUDGENS: My biggest challenge, working on set, was just that I wanted to play with the dogs. They were just so adorable. In between takes, I was definitely sneaking off and you could find me in a pit of puppies. Were they generally well-behaved dogs, or did they constantly have to be wrangled? HUDGENS: No, they were like super dogs. They were the most well-behaved, well-trained dogs that I’ve ever been around. I remember my very first day of filming, they put like a little black dot down on the ground and showed it to [the dog playing Gertrude], took her to the end of the street and called action. She started walking, got to her mark and sat down, and I was like, “How do you do that? !” I was very impressed, the entire time. Literally nothing went wrong. I was the distracted one because I love dogs so much. I wanted to cuddle all of them. 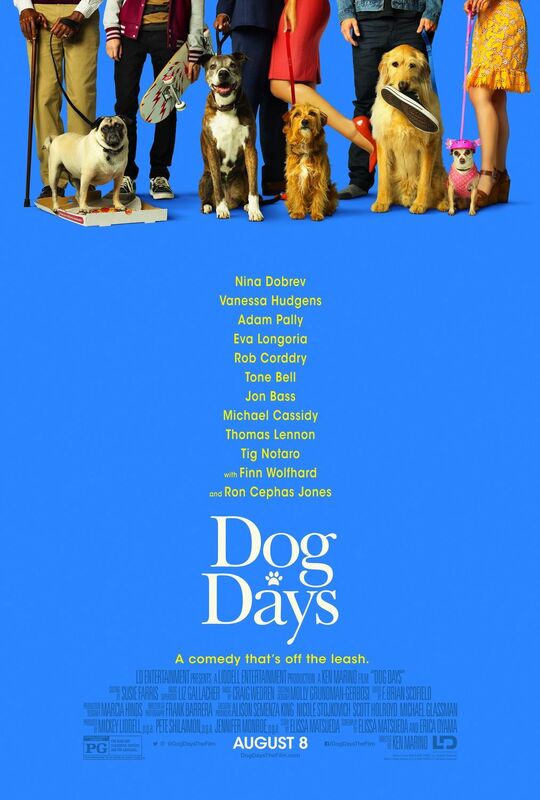 What was Ken Marino like to work with, having to direct all of the actors and all of the dogs? HUDGENS: He was so amazing! I’ve been a fan of his, for a very long time. The thing that I think is so great about him is his background. Not only is he a fearless director and leader, but he is an actor, as well. 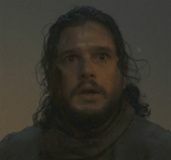 It’s just nice to have another actor looking out for you, helping you guide through the scene and figure out what works. And he would really just let us play. He would lead us along in the right direction, and then just let us go off the hinges. It was so much fun. There was so much ad-libbing going on, for the entire film. Did you have a favorite scene or moment to shoot? HUDGENS: I really enjoyed the entire film, but I remember one day specifically where Jon Bass had to get humped on set by a dog. I just thought it was so hysterical how this dog had learned to hump on cue and could do it perfectly. We had to wait on Jon because he could not stop laughing, rightfully so. You have some great moments in this with Jon Bass, Michael Cassidy and Adam Pally. What were the three of them like to work with? HUDGENS: They were all just really funny, good-hearted people. I truly loved working with them all, as people and as professionals. I was just cracking up, the entire time. They all made me laugh a lot. How often did the dog that you were primarily working with try to steal the spotlight from everybody, especially wearing a little dog helmet? HUDGENS: They all stole the spotlight, all the time, because they’re so adorable. I was glad to hand the spotlight over to them. I love dogs so much. Anytime they have a moment to shine, I feel like such a proud parent, even though I have no connection to this dog, whatsoever. At this point in your life and career, what is it that you look for in a project? Is there something that needs to be there for you to say yes and is there something that gets you to say, “This just isn’t for me”? HUDGENS: Yeah, totally! The character, to me, is everything. I love an evolution, and I love being able to tell a story that I find purposeful and meaningful and have a greater meaning. Movies are such a transformative experience for the audience member. They can walk into a theater feeling one thing and leave feeling another. I think this film, on paper, and especially on the big screen is just a movie that makes you feel really good. I think that is something that is an underrated and a really special thing to have an effect on the audience with. Is it hard to find that in projects? HUDGENS: Yes and no. I feel like Ken did such an amazing job, putting together a group of actors that did such a phenomenal job at playing this honestly. A lot of times, you read scripts that are digging into really dark stuff, and that can be fulfilling, as well, but there is something special about telling a story that can be seen by a whole family and bringing people together. At the end of the day, the movie is about love, breaking down your own walls, and finding your purpose and family. Those are all things that we struggle with and look for in life. I’ve been a dancer since I was four years old and I love dance shows, so I watch So You Think You Can Dance. You do such a great job as a judge on that, which doesn’t seem like it’s always the easiest thing to do. HUDGENS: It’s not. It’s hard because you see so many dancers, during the audition portion of the show, that it starts to get really overwhelming. I personally start to get overwhelmed by things because my brain is at its fully capacity that I almost can’t take in more amazingness. The talent has been really incredible and it’s really special, being a part of their journeys. I truly look forward to being a part of the show, every time that we have an episode, until eliminations come along. And then, I try to hide under a rock. The eliminations seem like the worst part of it. HUDGENS: It’s 100% the worst part of it because you hope that they can take constructive criticism and understand that them leaving the show does not mean the end of their career. It just means that the standard of the show is so high, and there are other people who have something that maybe they haven’t acquired yet. It’s a skill and it takes a lot of work. Hopefully, they can take the criticism and keep working to becoming better artists. You’re certainly someone who is an inspiration to so many young people. What’s it like to be able to do something like So You Think You Can Dance, where you can be inspired by those young performers, in return? HUDGENS: I am totally, extremely inspired by them, by their passion for their craft, and by their love of what they do. It’s really special to be able to see someone dancing at such a raw and vulnerable state, especially knowing, at the end of it, you’re going to be judged. It’s a really special thing to be a part of. I’m so grateful to be on the show. How did you find the experience of working with Jennifer Lopez on Second Act? HUDGENS: Oh, my gosh, that was a game changer, to be honest. She is such an icon and superstar to me, and to everyone in my generation, and generations beyond me and behind me. She’s an icon, and I felt so honored to be able to work with her. Every single day, she surprised me. She’s such an incredible talent. She’s a phenomenal actress. She’s so present and so honest and so free, not to mention that she’s the hardest working woman that I’ve ever met. She totally took me under her wing and was so kind. She invited me over to her house, made dinner and introduced me to her family. She was just a dream. I got really lucky with her because she really is everything I could have hoped for, and more. That’s awesome! It also must be inspiring to you, to want to do more in your own career, as well. You also got to work with director Jonas Åkerlund, on Polar. What was he like to work with? HUDGENS: Oh, my gosh, he is so cool. My cool meter went up, just working with him. He was so kind and so sweet, and Mads Mikkelsen was, too. He was just amazing. I remember reading the script and being like, “Wow, this is a part with a lot of weight. It scares me. Giving these monologues seems terrifying. 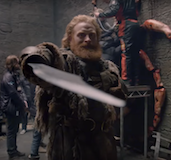 But, that means I should probably lean into it more.” I got on a call with Jonas, to talk about the part and the film, and he was like, “I think Mads is going to come onto the call, as well.” That does not happen, when you’re in talks for a film. 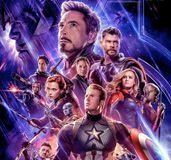 The leading actor does not get on the phone call to talk about it or your character, but he hopped on the phone and was talking about it and why he loved his character and what he sees for it. I was just like, “I love them! I have to be in this movie!” I’m so grateful that I did it because it definitely pushed me to places I haven’t gone before on screen. Who’s your character in that? HUDGENS: She’s a young woman who lives in the middle of nowhere, and she’s a photographer of animals and lives in a log cabin. She’s very isolated and quite awkward. That was the thing that I loved so much about the relationship that she has with Mads. It’s a weird love story. It’s not about the romance of them, and it’s not a father-daughter relationship. It’s purely a friendship, but it is extremely awkward, and there was something so magical about that. Would you like to also do something with your singing again, whether it’s an album or a stage musical or somehow incorporating it into a movie role? HUDGENS: Yeah. I actually am going to have a song coming out this month, called “Lay With Me,” that I did with Phantoms. We just shot the music video, and once the music video is completed and edited together, then we’re going to drop the song and the video. I’m really excited because I think fans are going to have a very nostalgic moment watching it. What’s it like to be juggling so many different aspects of your career? HUDGENS: It’s really neat. They say that you take up the time that is allotted to you and you fill that time. Having a ton of things on my schedule, I thought I was going to feel overwhelmed, but you adapt. It’s all stuff that I’m extremely passionate about and that I love doing. While it is work and the hours can be crazy, it’s still passion filled. I get an extreme high and joy from doing what I love, so even if I don’t get that much sleep, I’m still very happy to be there. My craziest days are very long and there’s so much going on, but it fuels me. If anything, it gives me energy, rather than taking it away. You’ve done a lot of different types of roles, in your career. Do you have any desire to voice a character for an animated movie? HUDGENS: Yeah, it just doesn’t seem to be in the books for me. It’s definitely something I’m trying to work on. Nothing has come into fruition quite yet, but who knows? I’m still young. Call Disney! Do you have a dream character that you would love to still get to play? HUDGENS: Yeah, there’s a lot. 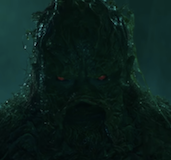 I love, love, love fantasy films, so I want to do something in that world. I love period pieces. I’d love to do something in the Victorian era. I love heavy action. I’d love to be in a female-driven action film. There’s a lot. I’ve got to do Shakespeare, at some point, because that’ a staple. While I have been doing this all my life, I feel like I’m just scratching the surface. 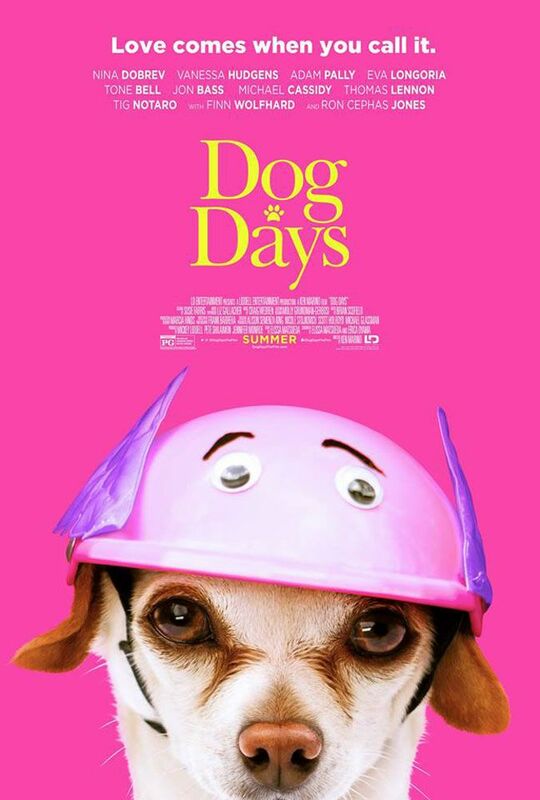 Dog Days opens in theaters on August 8th.